The first European explorer to discover New Zealand (in 1642) was the Dutchman Abel Tasman – who gave us the name New Zealand (although there have been some clues suggesting that Portuguese explorers may have made it to the west coast of Northland in the early 1500s…). English explorer James Cook first sailed right around this country, making a complete map of the islands and documenting its life forms and culture. From 1840 there was considerable European settlement, primarily from England and Wales, Scotland and Ireland; but to a lesser extent also the United States, India, and various parts of continental Europe, including the province of Dalmatia in what is now Croatia (visit KAITAIA and DARGAVILLE to see the legacy of the Dalmatian kauri gum diggers, farmers and wine makers), and Bohemia in what is now the Czech Republic (visit PUHOI, not too far north of Auckland). White settlers (called Pakeha by Maori) became the majority of the population in 1859. Nowadays people who identify as Maori make up around 14% of the whole population. The region of Manawatu around Palmerston North was an area with substantial Scandinavian immigration. If you’re interested in the Scandinavian influence in New Zealand, you can visit DANNEVIRKE for example, whose name comes from the Danes who lived and worked there, or EKETAHUNA, another Manawatu town founded by Scandinavians. Evidence of French ambitions to take colonial control of New Zealand remains in the charming little French village of AKAROA, near Christchurch. 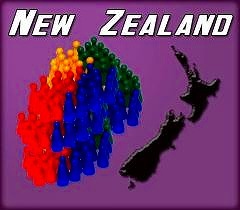 As is also the case in other countries, New Zealand’s larger cities too have districts where certain ethnic groups are more heavily concentrated. You can meet many Koreans in TAKAPUNA, Chinese in HOWICK and BALMORAL, Somalians in MOUNT ROSKILL, Indians in AVONDALE, all suburbs of Auckland, or many Samoans in PORIRUA EAST near Wellington, to name just a few examples. 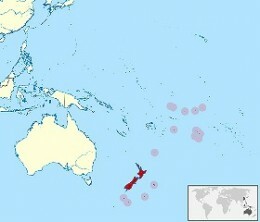 Did you know that even New Zealand has its own colonies and territories in the world! Today it still administers places like Tokelau, the Kermadec Islands (and many other outlying groups of islands in the Southern Ocean) and has control over for example the foreign policy of the Cook Islands and Niue. It also claims a large slice of Antarctica, called the Ross Dependency. From 1918 to 1962 Western Samoa was under New Zealand administration. What how about our little backpackers hostel though? Well, the main countries of origin for our guests are Japan, Korea, the U.K., Chile, Germany and France. We also regularly host travellers from Malaysia, Argentina, Sweden, the U.S.A., South Africa, Brazil, Taiwan and many other countries! Come and join the fun, ongoing cultural exchange with us at Surf n’ Snow!